Día Mundial del Agua 2018: Nature for Water. Today is March 22 and that means that World Water Day is being celebrated again around the globe. Once more, it aims to raise awareness and sensitize public opinion as to just how important it is to value this resource that is essential for life. This year, its theme ‘Nature for Water’ will concentrate on the need to save fresh the water supply and enhance its sustainable management. Fresh water is the essential natural resource for the survival of our ecosystem. Although being a natural, renewable and variable resource, the importance of its good use is advantageous because it is also limited, which means that any bad practices with regard to its use can seriously damage our ecosystem. “World Water Day is celebrated on March 22 under the theme ‘Nature for Water’. This is one of the reasons why World Water Day is celebrated each year on March 22. 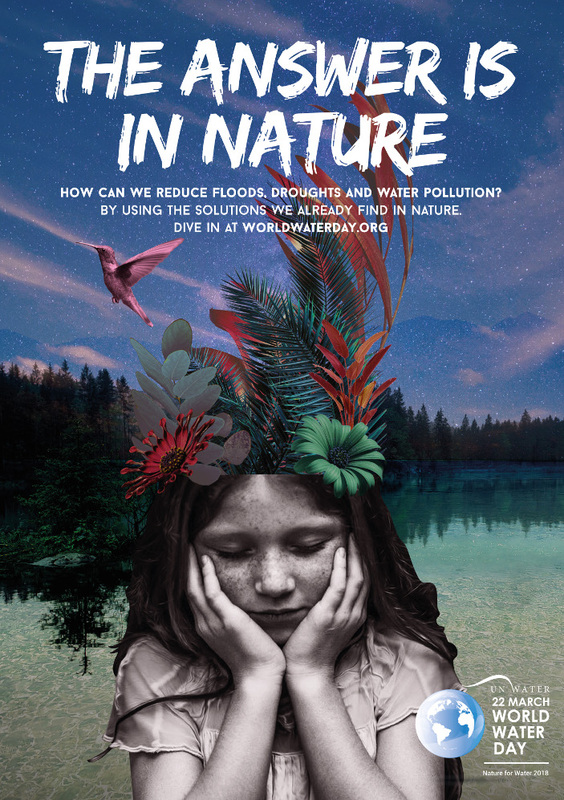 The theme for this year is ‘Nature for Water’ and it aims to explore nature-based solutions to the water challenges we face in the 21st century. The truth is the answer is often in nature. Water covers about 75 % of the Earth’s surface and nature provides us with water cycles to replenish it. These are processes in which the water from seas, rivers, reservoirs, lakes, forests and land evaporates, forms clouds and is then returned through precipitation. Therefore, actions such as the planting of trees to repopulate forests or restoring wetlands can contribute, in a sustainable and profitable way, to rebalance the water cycle, mitigate the effects of climate change and improve human health. In addition, all of this contributes to protecting the environment and reducing pollution, two key points which are set forth in the Sustainable Development Goal number 6. “1.8 billion people use an adulterated or contaminated water source. It is alarming to know that 1.8 billion people use a water source which is adulterated or contaminated with faeces, exposing them to the risk of contracting serious diseases such as cholera, dysentery, typhus or polio. Moreover, nearly 1.9 billion people live in areas that are exposed to the risk of water scarcity. This figure could reach the 3 billion-mark by the year 2050. In this sense, Abengoa is working each day to achieve sustainable water management, as well as access to drinking water and sanitation in water-stressed regions and polluted areas. Abengoa has built water treatment plants for more than eight million people and plants that can treat upwards of 1,500,000 m3 of water daily, by means of 90 plants in Spain, Africa and Latin America. Ruth Alba. Communication Department, Abengoa.